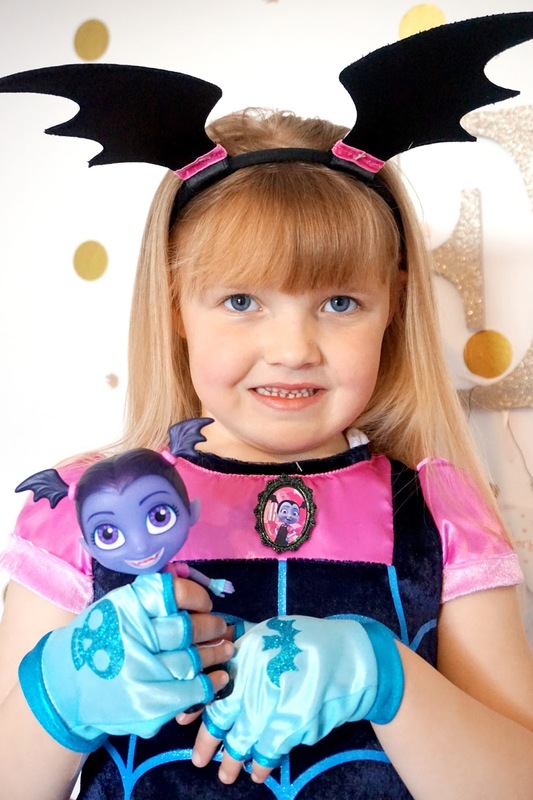 Elliw, who is 6, is totally obsessed with a very popular Disney Junior programme, Vampirina. From the first time she ever watched it on tv, she wanted to watch it over and over again. 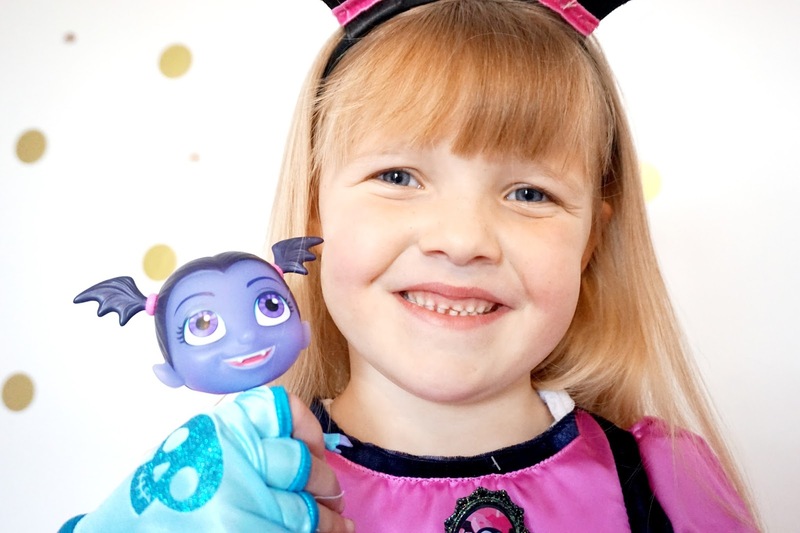 We will catch her on a daily basis singing the songs and role-playing Vampirina and her family. 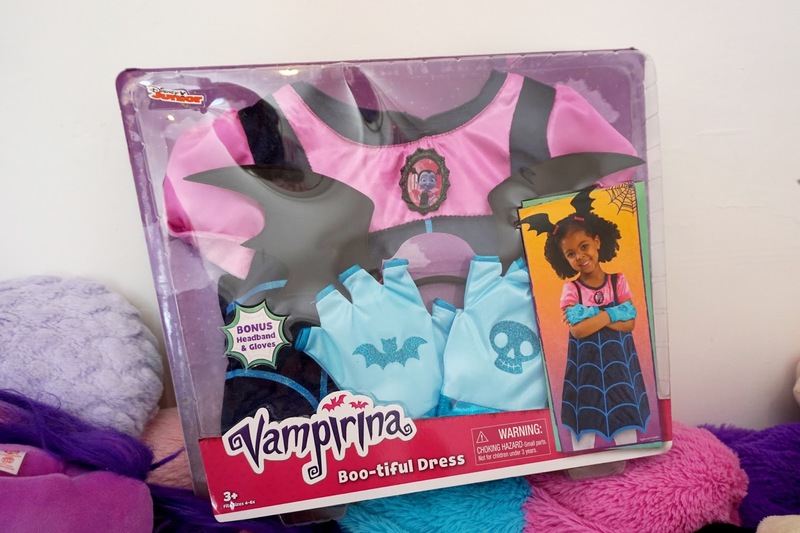 Now, she really can pretend that she is Vampirina herself, as she has been sent the Vampirina Boo-Tiful Dress to review. The moment she saw it, she screamed a little and was so excited. 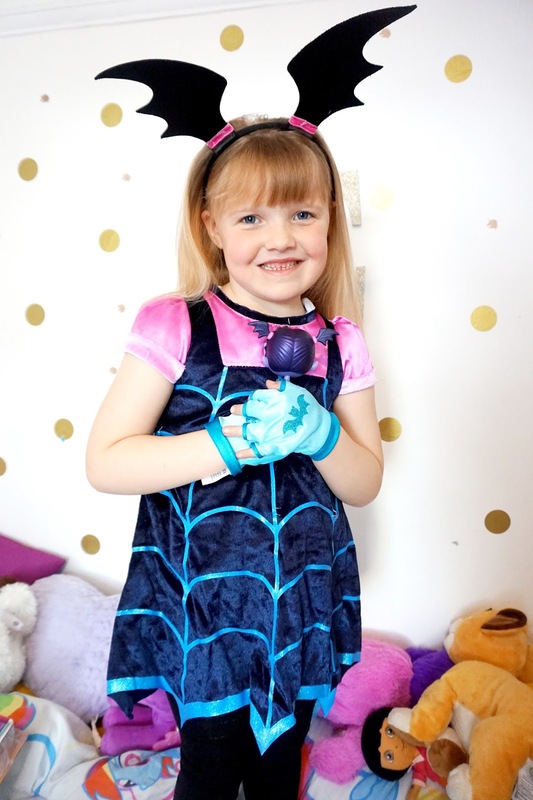 The costume is aged 4-6 years and fits her perfectly well. She is 6 years old now, and there still seems quite a bit of room for her to wear it for a long time again. The back has a velcro opening/closing, which is perfect for kids. 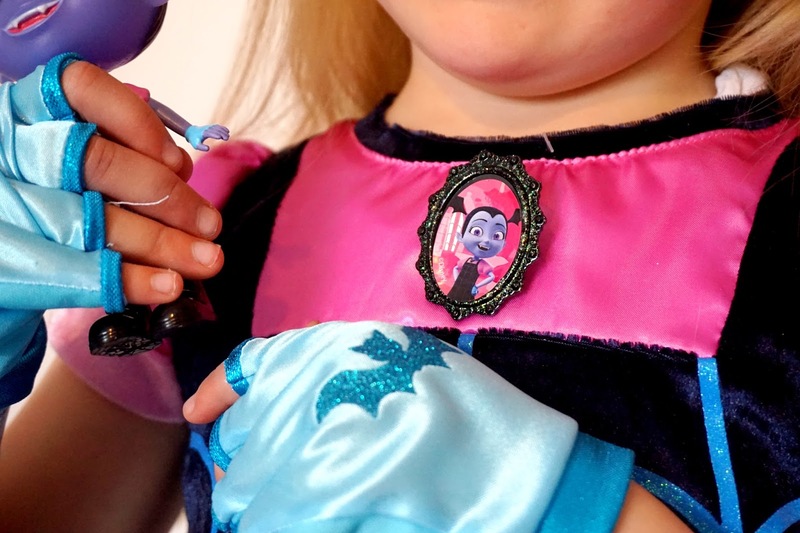 There's great detail on the costume, as well as a little photo of Vampirina herself near the top. 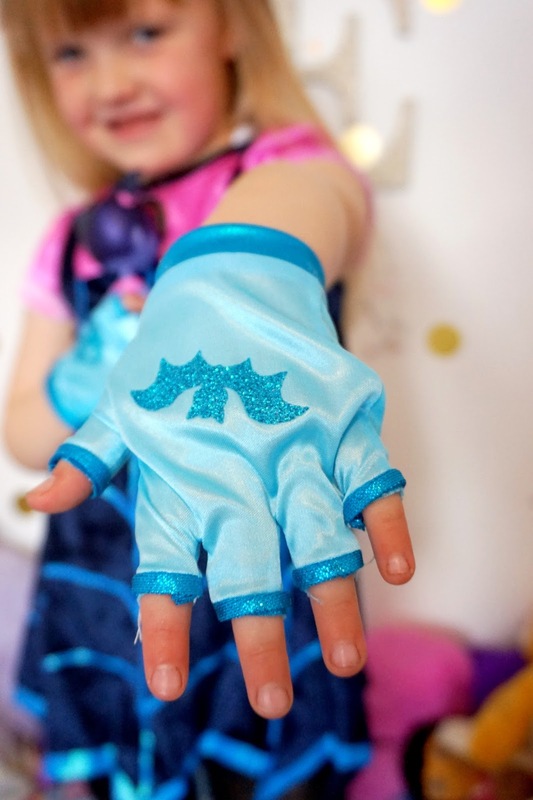 The fingerless gloves were a favourite with Elliw. They're blue with a glittery picture of a bat on the one hand and a skull on the other. 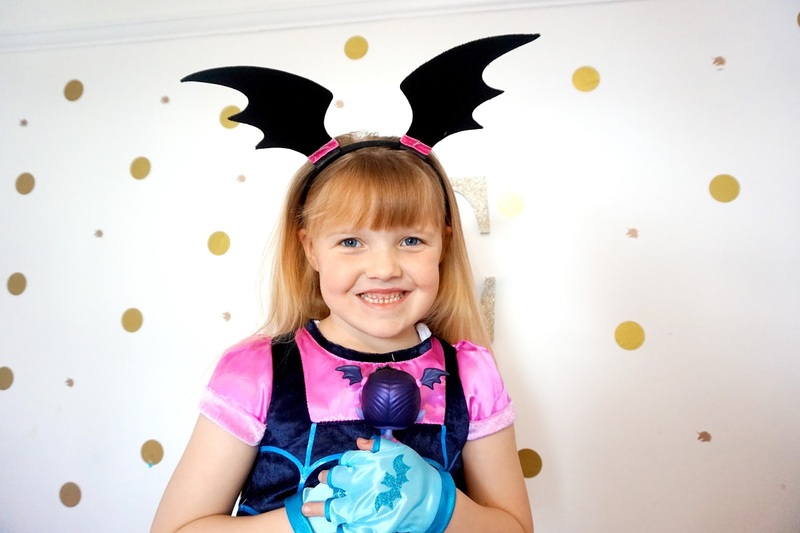 She has spent hours on end role-playing Vampirina, which is something I love watching her do. When she was younger she never really had an imagination that many children have. She used to always step back and be stuck on to me. But the past few years she has been playing with toys and role-playing shows/characters, and it's so lovely to see. 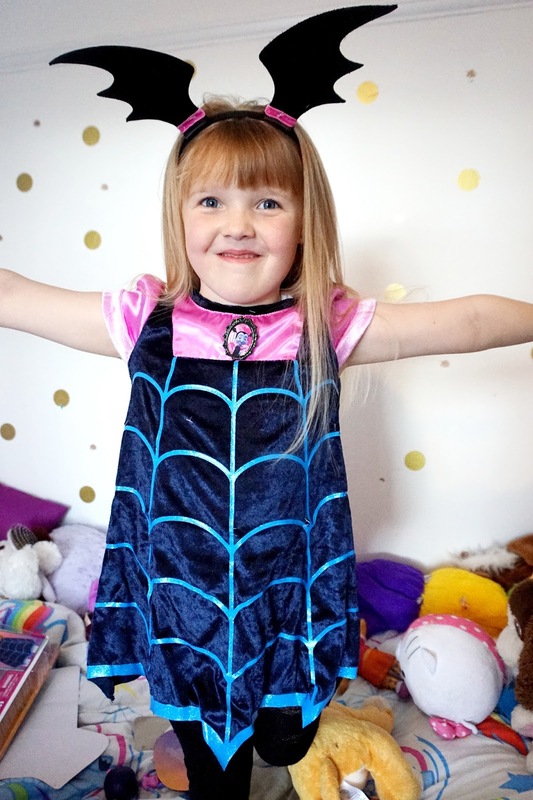 The Vampirina dress is £24.99 (RRP) in many toy stores and over on Amazon too. * We were gifted this item free of charge in return for an honest review. However, as always, all words, opinions and images are our own. * Affiliated links are included in this post.